There are a multitude of reasons to try to prevent tick bites. The main reason, no doubt, is to prevent the diseases they can carry and transmit. Lyme disease, carried by the Deer Tick, can cause a number of issues, both physical and neurological. It is just one of many tick-borne illnesses that ticks can transmit to humans. If you could take few precautions to reduce the odds of a tick bite, why wouldn’t you? Prevention is important because, in part, removal of ticks can be difficult. With their small size, they are very difficult to spot. These ectoparasites often attach themselves in hard to see places on their hosts hiding in hair or fur. For humans, they are more commonly found in concealed hotspots like the armpits or the groin. Extreme care should be taken while removing these latched-on bugs. I have personally had several ticks attach that, at first glance, look like a mole or a scab. Only upon further inspection do a realize it is a tick attaching itself to me. It is better to prevent contact with ticks in the first place. In this article, we are going to explain different way and tools used in preventing tick bites, ranging from using tick repellents to wearing bug-resistant clothing. Some mosquito repellents work for ticks, too. The first method for the prevention of ticks is by using DEET. While DEET is better known as a mosquito repellent, it works quite well on ticks as well assuming the active ingredient makes up at least 20% of the solution. It has proven to be beneficial and effective at repulsing ticks when compared to other anti-tick agents. It repels ticks by confusing their sense of smell, making them unable to discern the human scent. 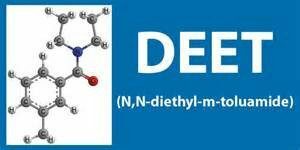 While it is a synthetic chemical that may have some drawbacks, we find that DEET works very well. If you need a product suggestion, we like Repel, which comes in many various concentrations. 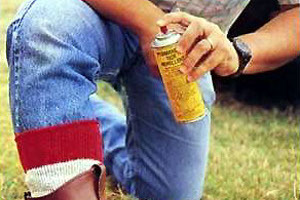 We like Repel that is 40% DEET, as long as it is not to be used on children. If so, you should not go above 30% DEET. No matter how successful DEET might be in keeping ticks away, a popular school of thought (backed-up by a EPA studies) is that you can really increase your ability to repel ticks if you use permethrin, or combine DEET and Permethrin. DEET goes on the skin. Permethrin goes on the clothing. Permethrin is the repellent for the prevention of tick bites when it comes to application on clothing, gear, and footwear, because it can last up to 6 hours on fabric. We like to apply it to our boots, shoes, socks, and pantleg. Go as high on the pants as will have contact with long grass. If you will be walking through heavy brush, consider covering your shirt as well. Permethrin is actually an insecticide, a step further than a mere repellent. When analyzed chemically, Permethrin has been shown to be chemically stronger than DEET and is believed to repel ticks almost instantly. It can also be absorbed into clothing and can protect against ticks for 6 washings or 6 weeks, whichever is less. You can also buy pre-treated permethrin-treated clothing that repels ticks for up to 70 washings, if the clothing was pre-treated by a manufacturer. 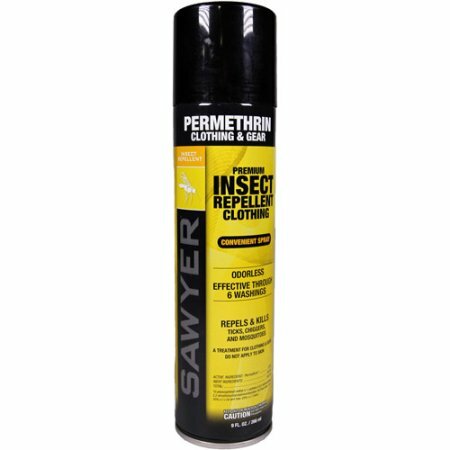 We suggest the Sawyer spray, an easy-to-use spray-on permethrin product. What do we do when we are camping, gardening, or working in long grass? We use both Permethrin and DEET. We put DEET on our exposed skin, and Permethrin in our clothing and footwear. We don’t like permethrin as a broadly applied insecticide because it harms bees, but to apply to your own clothing and footwear is just fine. This combination has proven effective and we believe is the safest combination if you must be in a tick-heavy area. Anecdotally, we can attest to the fact that we come home with fewer ticks when using the DEET / Permethrin combo. Home remedies are worth a try, but if your tick situation is serious, we recommend sticking to Deet or Permethrin. First, we need to say that you should take tick-borne illnesses seriously. 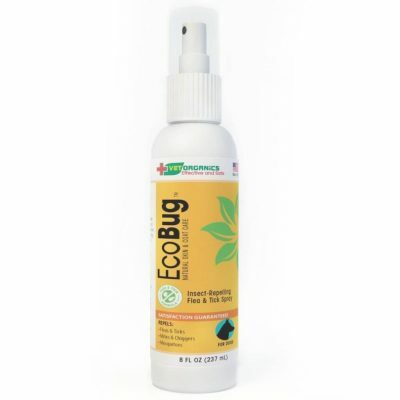 We would never suggest forgoing DEET and Permethrin for something that was not effective. Still, we get lots of questions about natural or home remedies against ticks, and below is one that he have heard of having some success. 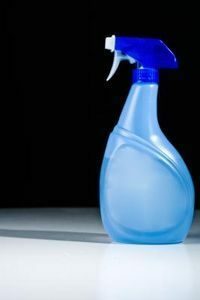 Spraying your clothes with the homemade insect repellent below is anecdotally reported to be effective, although we need to add a disclaimer that it has never been scientifically tested in a lab that we know of. Still, home remedies are often more natural and less expensive, and if we can find one that works on ticks, it will benefit everyone. Cedar wood oil and geranium oil are the most potent ingredients. You can skip the others if they aren’t available. Note, geranium oil in its concentrated form can be toxic to pets, so take precautions in how you store it. Take a spray bottle and fill it around 25 ml of water. The amount of water varies with the size of the bottle. If you have a larger or smaller bottle, adjust the amounts of the other ingredients accordingly. Add the drops of oil one by one in the spray bottle and shake it well as the spray won’t be effective if it is not properly mixed. After vigorous mixing, keep it steady for some time and use it when necessary. After using, keep the remaining spray in a cool, dry place. Before spraying it on your clothes and shoes, shake the bottle well again. The strong cent of the oils will keep the ticks away. For best practice, you would want to use certified PURE essential oils. Most essential oil distributors cut the concentration due to the price of the oil. These products would not have the necessary potency to effectively repel ticks. Ticks may accumulate in your woolen clothes with the passage of time. We devote an entire article to the 4-step process of checking for ticks. Here’s a summary of how you can get rid of them. After coming in from the outdoors, bathe or shower as soon as possible to wash off any ticks that might be crawling on you. Conduct a full-body tick test and check for any infected areas on your body. Parents should check their children for ticks under arms, in their hair and in around their ears. Thoroughly examine pets and gear. 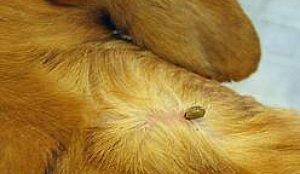 Ticks are capable of riding on clothing and pets, so carefully examine them. Tumble drying clothes in a dryer for 10 minutes under high heat can kill ticks as well. If your clothes require washing first, always use the hot water. 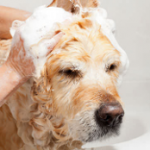 Cold or medium warm water is not recommended as lower temperatures will not likely kill any ticks. If your clothes cannot be washed in hot water, then tumble drying on low heat for a longer amount of time. Some ticks can survive the washing machine, so drying in a dryer is recommended — if you have access to one when you are coming in from the outdoors. Don’t forget about your pets, especially those dogs out there. They love to hang out in long grass, but the problem is that ticks do as well. When a tick gets on your dog, two bad things can happen. One, the tick can bite your dog, become engorged, and require removal. Two, the tick can hitch a ride into your house, where it will hop off and look for a human host. Neither are good. We recommend using some type of pet tick repellent for those dogs that are spending lots of time outside in a known tick-infested area. Cover yourself completely in areas where ticks are known to be common. Always wear an insect repellent on warm days. 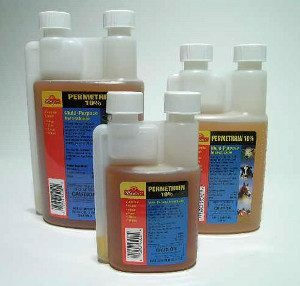 Always use products with permethrin coating. If your gear, such as tents, boots, pants and socks are treated, you’ll stay protected from ticks even after several washes. Always walk in the middle of wilderness trails and avoid heavily wooded and brushy areas. The other thing you may want to consider is using lighter-colored clothing, which will show a tick crawling on the surface more easily. A tick crawling on khaki pants is much easier to spot than a tick crawling on dark blue jeans. Some brands also make bug-resistant clothing — which may be treated with permethrin to help keep these creatures at bay. Finally, if we are talking about your home, yard, or other environments that you can control, consider taking some steps to reduce the tick population. You can’t eliminate them, but you can get rid of some of the more obvious places that might put them in contact with humans and pets. There are plenty of products available in the market that can help you to avoid or get rid of ticks permanently. If you don’t want to use them, you can prepare your very own tick-repellent at home as discussed above. 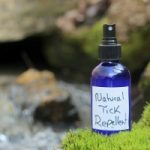 So if you want to prevent tick bites, start using these techniques now!